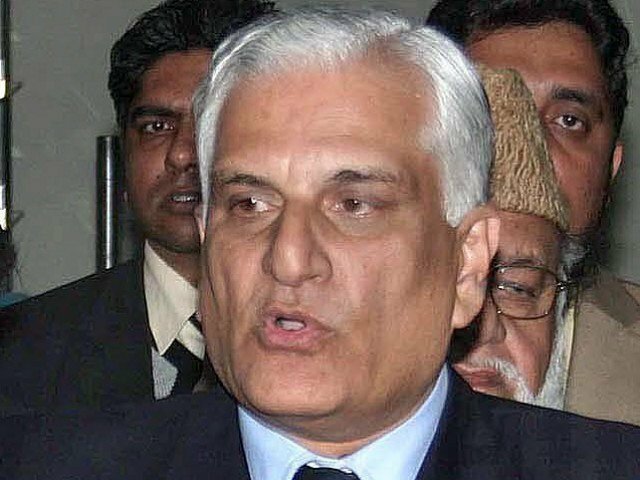 LAHORE: Supporters of the Tehreek-e-Labbaik Ya Rasool Allah (TLYR) and other religious groups attacked the personal residence of Federal Minister for Law Zahid Hamid in Pasroor, Sialkot district, while a Member of the National Assembly from the ruling Pakistan Muslim League-Nawaz (PML-N), Rana Tanveer Hussain was injured when he was trying to negotiate with a group of protesters occupying the Sheikhupura Road on Saturday. Violent protests are currently underway in several Pakistani cities, including the federal capital Islamabad as the government launched a shoddy operation to clear the Faizabad sit-in from religious protesters demanding the sacking of Law Minister Hamid over a controversial amendment to the elections laws. The attackers, that were more than 100 in number, vandalised and pelted stones at Hamid’s house. Only a dozen security guards were posted at the house, many of whom were injured in the attack, following which additional security forces were summoned. The police have arrested more than a dozen protesters that were allegedly involved in the attack from the scene. The law minister’s family members were not at the residence at the time of the attack. 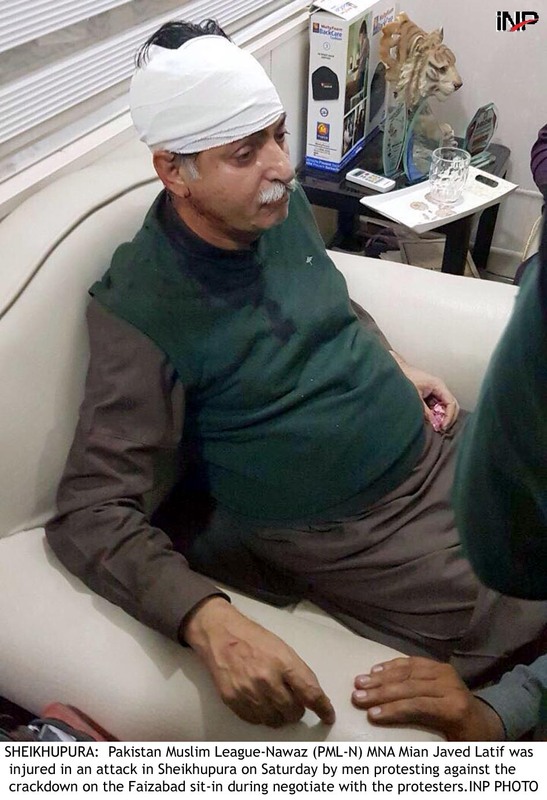 Meanwhile, PML-N MNA Javed Latif was injured while he was trying to address protesters in Sheikhupura. His security incharge and a counsellor were also injured in the attack. The unrest caused by the police crackdown on protesters in the capital has spread to other cities, with angry supporters of the same religious parties have begun agitating against the Faizabad operation. Above news ain’t true as Govt. and this man in particular had confessed that it was a slip of pen and then amended clause read I BELIEVE. Thus nothing had changed,.